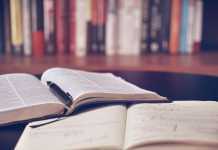 MAH B.Ed CET 2019 – MAH B.Ed CET 2019 is going to be conducted by the Commissioner, State CET Cell. This exam is conducted annually. It is a state level entrance examination. This exam will be conducted on 08 – 09 June 2019. Candidates who wish to appear for this state level entrance examination need to register themselves online for this examination through the MAH B.Ed CET 2019 application form. MAH B.Ed CET 2019 exam is conducted for candidates who wish to seek admission in the two-year full-time regular course of Bachelor of Education offered by the government, the university managed, and unaided institutes in the state of Maharashtra. Latest: Application Form for MAH B.Ed CET and B.Ed. ELCT 2019 has been extended, Scroll down to check the same. Candidates who wish to appear for the MAH B.Ed CET 2019 need to register themselves for the examination. The application form for MAH B.Ed CET 2019 has been released on the official website. Candidates can refer to the table below to get a clear idea about the various important events of MAH B.Ed CET 2019 and their schedules. Candidates can refer to the table below so that they do not miss any important event of MAH B.Ed CET 2019. Candidates are advised to go through the information brochure before applying for the MAH B.Ed CET 2019 exam. Candidates should ensure that they fulfill the eligibility criteria laid down by the examination conducting body. Candidates who fail to fulfill any of the criteria will be disqualified from the examination. A few of the criteria are listed below for the reference of the candidates. The Candidate Should be an Indian National and should have passed Bachelor’s Degree and/or Master’s Degree with subjects studied as Special/Optional level- Sciences and Mathematics /Social Sciences (History /Geography / Economics / Political Sciences / Psychology / Philosophy / Education / Library) / Humanity Sciences (All Languages and Literature) / Commerce and secured Minimum 50% *marks (Minimum 45%* marks in case of Backward Class categories belonging to the State of Maharashtra. The candidate should be appeared for the final year examination of any Bachelor’s Degree awarded by any of the universities incorporated by an Act of the Central or State Legislature or declared to be Deemed University. The Candidate should be an Indian National and should have passed any Bachelor’s Degree/Post Graduate degree awarded by any of the Universities in corporated by an Act of the Central or State Legislature or declared to be Deemed University under section 3 of the UGC Act,1956 of Minimum 3 years duration of Any Discipline recognized by the Association of the Indian Universities, or possess an equivalent Qualification recognized by the Ministry of HRD, Government of India/NCTE with Minimum 55% Marks for all Categories. Further provided that, the Candidates who are Appearing/ have Appeared for the Qualifying Examination(Under Graduate/Post Graduate) of the Academic Year 2018-2019 are also eligible to apply for MAH-B.Ed. CET- 2019, for On Line Registration and Confirmation of application form for MAH- B.Ed. Course CET 2019. Such candidates will be eligible for Admission only if they produce the provisional/Degree Certificate of the Qualifying Examination and Mark Lists of all parts of the Qualifying Examination at the time of Admission. English Language Content Test: (ELCT) Candidates desirous of seeking admission in the English Medium Colleges will have to appear for ELCT along with MAH.-B.Ed. CET 2019 and give option for ELCT while filling in the on line Application form. No request for this after the form has been submitted on Line will be entertained. Age Criteria: There is no upper age limit for admission to MAH-B.Ed. CET Examination in the Academic Year 2019-2020. Age will be calculated as on July 01, 2019. The application form is now available on the official website. Candidates are required to register their email address and mobile number before actually filling the application form. It is advised that the candidates provide authentic details in the application form and while their registration. Candidates have to pay their application fees to complete their application submission process. Applicants need to make a note that the fees once paid will not be refunded. Candidates have to take a printout of the duly filled application form and payment receipt they will then have to submit it to the facilitation center declared by Directorate of Higher Education. Admit Card for MAH B.Ed CET 2019 will be released online at the official website. Intimations for downloading Hall Ticket will also be sent through E-mail/SMS. Once the candidate clicks the relevant link, he/ she can access the window for Hall Ticket download. The candidate is required to use Registration Number/ Roll No, then its Pass-word/ Date of Birth for downloading the Hall Ticket. The candidate needs to affix recent recognizable photograph on the Hall Ticket, preferably the same provided during registration and appear at the examination centre with i) Hall ticket ii) Photo Identity Proof as stipulated below and also specified in the Hall Ticket and photo Identity proof as brought in original. The Hall Ticket with original photo pasted on it having signature of the candidate and the Invigilator will be required at the time of Admission. Candidates are advised to preserve it carefully. MAH B.Ed CET 2019 exam will be a computer-based online exam. The question paper for the examination will be divided into three sections Mental ability, General knowledge, and Teacher aptitude. The examination will be an objective type exam. It will comprise of 100 MCQ questions. The examination will be of 1 hour and 30 minutes duration. The question paper will be in English and Marathi medium. Candidates will be awarded one mark for every correct response and no marks will be deducted for an incorrect response. Candidate has to select Any Three centers of their own choice from the list given: ( The Centers selected are binding on the Candidates). Mental Ability (40%): The content of this test aims to judge your reasoning power It also helps to judge how accurate you can think. This test will contain questions based on Series, Syllogism, Coding-Decoding, Relationship, Analogies, Classification, Problems on Dice, etc., either in Verbal or Non-Verbal form. General Knowledge (30%): The aim of this section is to test how well you are acquainted with the happenings in the surroundings at Local, National, International Level including Past Events, Current Affairs including, Science and Technology, History, Geography, Civics, Political Science and Literature in General. Teacher Aptitude (30%): The Test aims to know your capacity to become teacher. It will contain questions related to your keenness to update your knowledge, leadership qualities awareness about changes in Education and Society, Communication and Professional Commitment etc. Candidates who desire to seek admission to English Medium Colleges of Education will have to appear and qualify the ELCT-2019. For more information on MAH B.ED CET 2019, download information brochure 2019 | CAP Brochure 2018 For reference purpose. 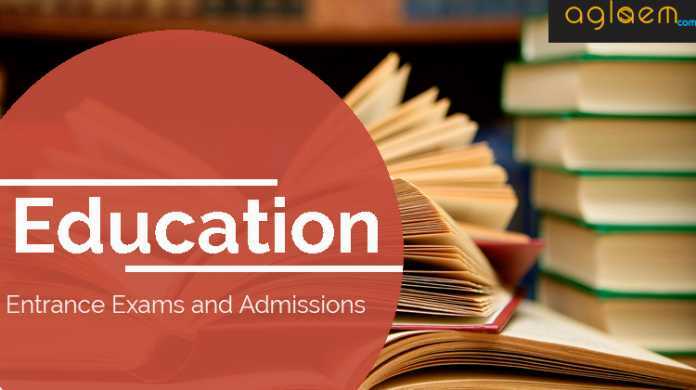 Rajasthan PTET Application Form 2019 (Over) – Apply Online! i dont have the printout of my B Ed application form and the payment receipt. Pls let me know wat i can do now…. hey there just login and print the application details. Hey, can you tell me when will the CAP forms be available online. Hey, Shalini forms have already been out and today is the last date so hurry up !!! What is the next step to get into my choice of college? When wil the option form be available? 1) When will the merit list for Mah Bed Cet 2018 be declared? 2) What are the top colleges for Bed in Mumbai? How many seats per college for English medium? 3) I have scored 106/150 in the exam. open category male. do i have any chance of getting admission? which college can i expect to get admission in mumbai? hey Anirudh the merit list will be release soon and the merit list you have to appear for the counselling and after that the college will be allotted to you. Wen and wer do we have to register for the counselling ? Wen will the merit list be out ? Do we have to register or something so that our name comes in the merit list ? Wen and wer do have to register for the counselling ? To include our name in the merit list do we have register or do anything ? Wen should we choose college and do we have to fill a form for that ? For private colleges are the admissions started? I have doned the b.ed CET 2018 and also appeared. But what next? I don’t know. Please how can i check the cut off? Merit list etc. And what the actual process of admission? And tell me about the fees amount also. I have a similar query ..when will the counselling start and will the department intimate us thru mail ?I called up a near by college BEFORE THE RESULT WAS DECLARED and they said they have already taken the provisional admission and no more seats are vacant as many people are in waiting list. So how are we suppose to know that where we can get admission if already the provisional admissions are done. alps11 can you mention the name of the college you spoke to ? When i m going to log in it is showing Invalid Login. Login Id & Password mentioned in admit card is required to be entered or the one which is mentioned in email while registering . Pls reply? When will the option form and cap form be released? hey there the registration for this will be released soon so you have to wait for a while. I have visited a b.ed intitute near by and the only thing they said is ” Every thing is Online”. Even if v call any instutute v get the same reply. We would appreciate if some one from department would guide us properly with the whole process. If v would get the dates when the cut off list will be up and when the admission process will be up that would be very helpful. I have checked with the colleges and they have informed that the admission process has not started yet… It takes a very long time for the admission process and everything will be done online so my advice to everyone is to check on the below site everyday. U will see some news on the page about admission before the admission procedure starts… As per the information it can be next week but can’t confirm it. How come colleges in navi Mumbai are asking to reserve seat without counseling ? College registration process in not yet started for candidates.It seems its for institutes who want to be a part of B.Ed CAP. Did we have to fill any online form after getting the CET Result? What are the top 5 colleges for BEd in Mumbai? (English medium only) What is the fees and how many open seats in each college. AGLASEM TEAM please reply and no generic answers please. Please share some valuable information. And please don’t say wait for dhe to announce. You can share data from last year but please do some value addition to this page!!! All those who support my post please reply to it with your support!! Right said,here only we aspirants are discussing AGLASEM team please share details according to last year’s schedule. What are the documents needed apart from SSC,HSC and Degree marksheets? Hi, when will the CAP link be uploaded on the website? Hey Abhilasha the link will be active soon. when cap link will uploaded on website?????????????????????? When will B ed admission forms come online ????? b ed option form is started? You can get it once the registration starts. Only we have to pay 100 Rs. I got this info from CET Cell office. The contact number provided in the brochure. Please let me how can I get the application form copy as the last date to download it is already gone .I dont have a copy of it with me. Aglasem team can you please revert on this. Its the same problem as me.did you get this solved? Where is the Cap application form available, on which website ? As per the Tentative CAP Schedule for B.Ed Point NO.7 college list was to be published on 13th Jul 5:00 P.M but it is not yet there. Anyone any idea regarding this? Can anyone list best college for b.ed in mumbai region?? Chembur Education Societyâ€™s Chembur Sarvankash Shikshan Shastra Mahavidyalaya are some colleges you can look for,but try getting other’s review too. Please list all the best Government (aided) BEd colleges in Pune district? Guys please do not panic. The CAP has 2 parts one for colleges and second for students. In the first part the colleges register themselves in the CAP process, once this is done total seat availability is calculated. Now the students register themselves with the CAP and fill in choice of colleges and seats are allocated in different lists. i tried to check d online form.but found no information about. can anyone plz explain the online admission process to me itz a request. i have got my CET results n want to.fill online admission forms. Praveen sir What about Bombay teacher training college and hansraj jivandas college?? there is no official update,will inform as soon as we get the information. Any information? There is no merit list too. I heard the full CAP/Admission process would end in October. Why so many months? I am Freaking out here. I find only two colleges that are Govt aided under Pune University. Only two? 1. Adarsha Shikshan Mandali’s Adarsha Comprehensive College Of Education And Research. 2. Shikshana Prasaraka Mandali’s Tilak College Of Education. Praveer….you said so many other colleges in my last post. Where are those colleges? Also, I don’t find Pune Univesity itself as a choice to do your B.Ed. Colleges list are out, however some colleges are in discrepancy list mentioned shashnache sudharit naharkat pramanpatr aprapt -may i know what does this mean…. are this colleges rejected from this year?? Colleges list are out, however some colleges are in discrepancy list mentioned shashnache sudharit naharkat pramanpatr aprapt -may i know what does this mean…. The CAP link isn’t available, right? College list are out but some college listed in discrepency list for NO objection certificate.. can u plz tell what does it mean? Who else here is applying for Eng Med Govt aided colleges in Pune? I have lost my Application form …what to do ? You will have to pay Rs. 100 /- or so to get the application once the link is active. Please read the information brochure once in a while. It is there you can download it. for online option form filling link avalibility date was 18/07/18 but I didn’t see any link till now. Pooja everyone has the same question. CET CELL staff is also not answering this question on mail or on call.Try to call them on the numbers mentioned in schedule and the guidelines.Also u can mail them. Please update if u get an answer. i am unable to find my cet application form what to do now? should i enter aggregate of all semester marks or only final year marks as they have mentioned to enter marks considered for award of degree/class…what does that mean? hey there you have to enter the aggregate marks. should i enter aggregate of all semester marks or just final year marks as it is mentioned to enter marks considered for award of degree/class …what does that mean? I have lost my CET application form. What Should I do now? How can i download it again? hey you need to contact the officials. 12) Candidates who have not downloaded the CET Application form, will be able to access the CET Application form by paying the On Line Payment of Rs. 100/- Only. This facility will be available with in a day or two. Please let us know if you get any update of this as they are not giving reply on mail so please if you get any update do let us also know. Last date of submitting the form was 09 May 2018. Its not available anymore. I have submitted the online admission form but later realised that in my third year compulsory & optional subjects I made a mistake. So can I edit it again?. The form has been approved, is thr any other way to edit it. you have to contact the officials. I have lost my bed application form. how download application form? If u have registered you must have got a registration no. And u must have set some pwd… login with those details and fill the application form upload docs and then the fill option form. Links are there in brochure. hey there you need to contact the officials in that case. I gotg74% marks in cet maharashtra exam What the admission process ? After filling CAP form, will hard copy of form be submitted in pune office ? Cap form online fill up karne k bad v kuch karna hai kya? Please reply me. Hey, Are you applying for only English Medium or both Marathi as well as English? I am applying for English medium but I could only find only two colleges which are govt aided (other E medium colleges are there under Pune Uni but those are un aided). What about you? is anyone able to download cet application form to upload as required document ,,,is the link available..reply plz? I could not find the link to download CET Application form….anybody pls help me out. I called and mailed the call centre but didn’t get satisfactory reply. Mam in the option of degree marks memo what should i upload..my college hasn’t given a consolidated marksheet and all my marsheets are separate.Please help me mam. Upload your last semester marksheet or ask your institute for a consolidated one which will include your final GPA and average percentage of all 3 years. Can anyone tell me how tofill b. Ed college code? please guide me…i have done graduation in mathematics and my side paper was physics and chemistry….so in complusory subject i put mathematics and optional subject / specialition subject physics and chemistry ….. now in pereference subject showing only physic and chemistry not maths…waht to do ? Because you have already put mathematics as your compulsory subject. It’ll be on your curriculum. I have add economics as my compulsory subject…so can I change it??? Is there any way????? Can someone please confirm whether approved status means the forms are submitted? same question…approved status means..has my form submittd? After approving Application and Option Form, can it be edited? Also, when given the option to ‘Print Application/Option form’ does the image of documents (CET scorecard, Degree Marks Memo etc) come on the final form? hey there the application form will be edited on the date given . pls let me know what to do next, i have submitted all the details of application form and option form online. now what will be the next step to follow. hey kindly provide me the login credentials so I could help you. Hey Sneha kindly provide me the login credentials so I could help you better. I need to print my application form but I can’t log in since the results are out! hey there now you can’t download the application form as the result has been released the link for the application form has been dead. Hi. I got the college I had put on 1st preference. But now I wish to go to 3 rd preference College…what do I do? Can anyone help? I cannot use float too..is there a way out of this? Yogita..why can’t you use the freeze option? Just freeze your first preference and then wait for the 3rd preference to come. What is wrong with first preference though? I have filled in option form for a minority college and I fall under minority quota my cet score was 79 but my name didnt came in 1st list and many applicants with less score have their names on the list of same college then why my name didnt came. Hey khushi what is your appliication form and option form status. I need help before first round my application form and option form status showing approved but after the first round my application form status shwoing incomplete. Is this you facing same problem please reply me. my application form and option form status is showing approved. ok thankyou but why this showing to me? what message does it show? Sir I want to apply for 3rs round I have got the clg in first round then I apply for float option n in second round I again get the same clg..can I apply for third round? Same happened wid me also….do i have to pay another 1000rs for 3rd round or will I get the direct chance if I reject the seat alloted in 2nd round? I got the same college in Round I & II but I would like to opt for Round III, I wanted to know that whether I have to refuse the second round alloted seat for floating in round 3 or it maybe directly considered as rejected if I do not present at the college. Though I already opted for float option in round 2. Please sir rply same prblm like bhoomika ..what should we do.. should we report to clg n don’t take the admission or should we not go to clg …after that can we apply for third round? 3rd Round list when will be come 21st sep or 5 Oct??? While filling the form, method of subjects were selected incorrectly by me. m trying to edit it but no options are found. how will i have to do it. Hello friends the third list is declared please check B.Ed website. 3rd list is been declared or not ??? i am not able to login though i have been allocated college i checked it through collegwise allocation …but cant access my admission letter by logging in .have they barred login for some purpose?? anyone there who faces the same problem?? No college allocated even though my name is in third merit list why? Can anyone answer?? we should wait for institutional round that is we need to fill offline form. Yes…we all should need to fill offline form through the college committee…. But what do you want…actually..allotment letter or option form? I WANT MY OPTION FORM. Allotment letter I hace. But there is no option form download available. Can anyone..tell me..dat..3rd year marks and graduaation marks colum vl be same right. How 2 edit application form.. I am not able to fill the application form as, if select Yes to question Do you belong to Maharashtra state? then it is asking for option to select from drop down list.and if we select any option from drop down list then it is asking to change the Category,which is not correct.dose anybody have the same issue and what you did to resolve it.